Goal readers have named Real Madrid star Cristiano Ronaldo as the greatest athlete of all-time, with almost twice the number of votes won by Barcelona forward Lionel Messi. Ronaldo was a comfortable winner in our poll that included the likes Pele and Diego Maradona alongside basketball star Michael Jordan, tennis great Roger Federer, sprinter Usain Bolt and boxing legend Muhammad Ali. The Portugal international has banged in 19 goals in just 11 appearances this season and his agent Jorge Mendes recently stated his belief that the 29-year-old is worth even more than his release clause of €1 billion. “In addition to being the best footballer in history, he is the greatest athlete of all-time,” stated Mendes. 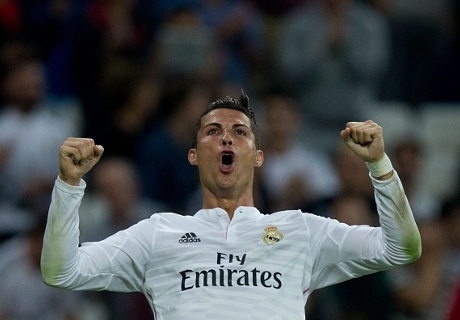 And Goal readers agreed, as Ronaldo pulled in 30% of votes cast. Messi finished second with 16% of the vote, narrowly beating out competition from boxing legend Muhammad Ali. Six-time NBA champion and NBA-finals MVP Michael Jordan came in fourth, with more than twice as many votes as the fastest man ever, six-time Olympic gold medal-winner Usain Bolt. Pele and Diego Maradona managed just 10% of the vote between them.